Hey guys, I'm the GM at the Pep Boys in Miami Lakes. If anyone needs anything you can reach out to me. 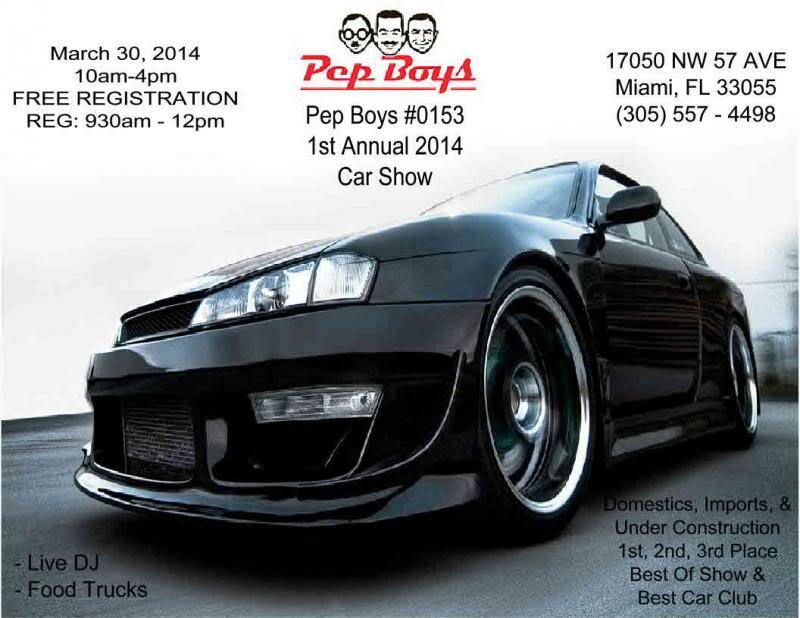 I'm hosting a car show this Sunday March 30, 2014 and its FREE REGISTRATION if anyone is interested. Its going to be a day packed with fun. Hope to see you out there. We're one day away, hope to see you guys out there!!!! Pep Boys "Back To The Future Car Show"